Why Snapchat Is The future Of Social Media! Snapchat is arguably the future of social media. It is changing the way we connect with others in the most amazing way. There is a very good reason large amounts of people on Snapchat are pretty much glued on to it. 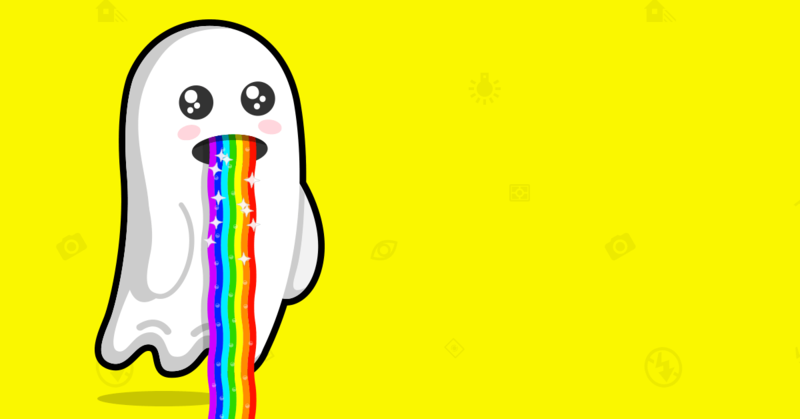 So much so that even big name brands are setting up entire Snapchat divisions! It is the fastest growing social network among American millennials and this trend will continue onto other demographics! I like to think of it as Facebook and Instagram on overload. It will spawn entire generations that think that they are amateur videographers much like how Instagram and selfies made everybody into amateur photographers. Now you tell me. Would you rather watch a video of your friend cracking jokes or would you rather see a picture of it? We are not talking about apples and oranges here. We are talking about a whole new internet revolution antsy to explode into exponential growth. It is going to fundamentally change the way everybody consumes and generates content. Snapchat will be like a new online language that we predict will first be mastered by teenagers, then by celebrities, companies and after that by the masses. The best analogy would be like how YouTube killed T.V, Facebook killed email, and FaceTime killed phone calls. We will soon be able to have intimate connections with anybody we choose regardless of distance and possibly even Land a Job via a 30-second snap. Consider the fact that just a year after Snapchat launched in 2011, it had 10 million active users and now closing to near 200 million and the fact that 40% of 18-year-olds are using Snapchat every day. It is only a matter of time, till your 50-year-old neighbor gets one and uses if for nothing else but to see the Packers up a bit closer during the super bowl and possibly even for free? Why? Because soon everybody will have a HD camera on their smartphones and the beauty of Snapchat is that you can use both your cameras for a snap (not concurrently yet) . So say if your have floor seats in a NBA game and you are snapping LeBron dunking and you have a better angle and clarity than the professional videographers. Are you seriously going to tell me you wouldn’t consume that? Also, once Snapchat incorporates the possibility of adding clickable links into a snap and effectively connecting it to the internet. Don’t you think there will be boat loads of money making and sponsorship opportunities? Only time can tell. © 2016 Transcend Toronto SEO.